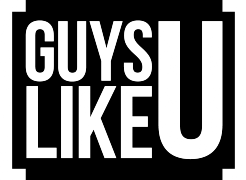 GuysLikeU’s regular contributor Hadley tackles bisexuality. Or, at least, the way we as gay guys talk about it. Somebody once said to me that it’s harder for a bisexual man to come out, than it is for a gay man to come out. At the time I think I simply brushed off the comment. But given the recent coming out of George Shelley and having read GuysLikeU columnist Matt Oak’s piece about the stigma surrounding bisexuality, my thoughts were taken back to that very comment that was made a few years ago. Whenever bisexuality comes up in conversation, nine times out of ten the stigma which surrounds it becomes apparent. Usually phrases about bisexual men being ‘greedy’ come tumbling out of somebody’s mouth, whilst their neighbour declares the archaic ‘bi now, gay later’ catchphrase that people still seem to be armed with. I get angry when I hear such nonsense, but when it comes from people I am friends with, it makes me think. Why is it that my friends have absolutely no problem with my sexuality, yet seem to criticise bisexuals or completely dismiss bisexuality altogether? It’s undeniable that there is a stigma attached to bisexuality. There’s also a stigma attached to gay men, remember that? Enforcing a stigma upon other people, isn’t weakening the stigma attached to gay men. In fact, it makes us look a tad hypocritical. And this isn’t all happening in isolation. We’re constantly being bombarded with media stories about celebrities coming out as bisexual and the torrent of ignorant tweets, Facebook posts and other online messages, which seem to litter the internet. In fact when George Shelley came out in a YouTube video, some people were quick to label him as ‘bisexual’, despite the fact that George didn’t describe himself as a bisexual man. When I came out, I described myself as a gay man. I cannot imagine what it must feel like if somebody else were to take that decision out of my hands. We all seem to be living in a world where we need to label people. Perhaps for some it gives them a sense of security, however, I think we’ve now gone too far and we’re too quick to label others. I chose to ‘label’ myself as gay, but if somebody like George Shelley doesn’t wish to use a traditional label to describe his sexuality, who am I to judge him? Equally, if somebody comes out as bisexual, who am I, or any other gay man, to cast aside that person’s sexuality? I know that I’m not alone when I say that being accepted for who you are is important. I wanted to feel accepted when I came out and I was fortunate enough to be accepted as a gay man. Bisexual gay men and woman are also looking for such acceptance. I’m not suggesting that every gay man needs to turn into the most accepting and open-minded person on the planet. But I suggest you think back to when you came out and how you felt about being accepted, or how it felt to suffer rejection. Whether you’re gay, bisexual, straight or you don’t wish to label your sexuality, it’s irrespective. We’re all trying to make our way through life, so let’s stop making it so difficult for others to walk their own path. Next ArticleTom Daley tells us what's good and not so good to stick in our gobs!